Project managers are among the most valued managers in IT. Successful project managers are the superstars of IT and are in top demand. Failed project managers are relegated to at best a solo project. If you want to be a superstar IT project manager you must master certain skills. There are many traits that make a good project manager. Having these to start with is almost essential. Project management is one of the most challenging roles one can take on. There are many things you need to know, but here are ten skills that will help you to become a successful project manager. Project managers always have demands on their time. Time management skills are essential to succeed as a project manager. You will find yourself pulled in all directions, sometimes all at one time. You must know how to effectively schedule your time and prioritize your action items. Don’t forget to schedule in some time for the unexpected because they will happen and having time blocked out allows you to deal with them. 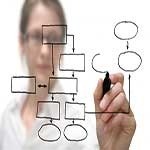 See “Management Tools – Time and Problem Management Simplified“. There are a vast number of project management tools available today. They can be an enormous aid to a project manager that can mean the difference between a project succeeding or failing. You should learn to effectively use these tools. Not just learn them, but become a master of them. Project management does not come with a crystal ball, but there are times when you will wish it did. Instead you must be diligent in overseeing all aspects of the project looking for issues before they become problems. Don’t want until an important piece of equipment is overdue before you check with the vendor. Check in often with every vendor, contributor and team member to be sure they are still on time and on track. See “How to Restart a Stalled Project“. Meetings are a necessary evil that comes with project management. To be a successful project manager you must learn how to hold effective and productive meetings. Don’t let meetings wander off the topic, you do not have time to waste. Control the meeting, effectively relay or collect the needed information and move on. As a project manager you must make decisions all the time and they always have to be the right one. To complicate matters you do not have the luxury of spending much time to make a decision. Sometimes they must be made on the spot. Team members look to you for yes or no, not let me get back to you. While you should never make an uninformed decision, the better honed your decision-making skills the easier your job will be and the more successful you will be at it. A “know-it-all” does not make a good project manager. Even though you are expected to know it all, there is no way you can. You rely on your team members, other project managers and anyone else who can help you out. When issues arise and it is time for new approaches or new directions, trust in the people you surround yourself with. This is a good reason you need to surround yourself with a talented and diverse team. See “The Nine Belbin Team Roles“. Too often project managers get caught up in reaching their milestones as if they were the determination whether the project fails or succeeds. Milestones are important, but the true test of the success of a project is the quality of the product it produces. It does not good to cut corners to reach milestones if you produce a poor quality product. Quality, quality, quality. The rest will speak for itself. Issues always arise, unknown, out of the blue and you have to deal with them. You may have two team members fighting about how an important part of the project should be done that is putting the project at risk. Step in right away, tell them this is how it will be done and BE SPECIFIC so everyone understands. Leave an issue lying around too long and it will grow large enough to derail your entire project. Things will go wrong. Vendors will fail to delivery hardware when they promise. Programmers will fail to delivery software to the proper specifications. A successful project manager must have a sense of composure during times like these. It even helps to have a sense of humor, though at times it may be hard to find. What you can not do is allow issues to consume you to the point you lose sleep and do not take care of yourself. If this happens it is a warning sign that you need to deal with. In the same way you can not be a “know-it-all” and must rely on your team for support, you can not be a “do-it-all” and try to do all the tasks yourself. Your job is to manage the project and focus on the big picture. Delegate tasks to your team and let them do their job. Follow-up, but don’t helicopter each team member to be sure they are doing the job right. To be a successful project manager you must wear multiple hats and be able to switch the quickly. Successful project managers are people who are driven to succeed at all costs and never lose sight of the big picture. To deliver a project, on time, on budget with a high quality product. Successful project managers need to learn many skills if they do not already have them. If you want to be a successful project manager learn to be a good manager, a good negotiator, a good leader, someone who can easily adapt to inevitable changes and make the right decision on the spot. Most of all understand successful project managers are not superhuman. Maintain your drive and focus, but do not allow a project to become an obsession that consumes you. I agree with all above, but would like to add one more skill. So often IT managers constant focus on the technology delivery means that they forget Stakeholder Management. The soft skills of Stakeholder Management are hard to master, as there isn’t a clear right and wrong. But like that old tyre on the tree diagram, we must remember that Stakeholder Management means that we deliver what the customer actually wants and keeps them informed before, during and after project delivery.